Center for Ministerial Training (CMT) is a Bible institute in Minnesota that exists to prepare pastors, Christian workers, and other committed followers of Christ to more effectively serve God. CMT was started in 2008 in Minnesota U.S.A. by pioneer missionaries Jim and Martha Towner upon returning to the States after 27 years of serving in Mexico and Spain. CMT is interdenominational and Evangelical in nature. It also bilingual, having both English and Spanish tracks. CMT students come from a variety of cultures and ethnic groups. CMT attempts to teach students biblical knowledge and help the develop ministry skills within the context of authentic relationships with peers and with spiritual mentors. Most importantly, students are urged to grow in an intimate relationship Jesus Christ and in surrender to His will. This is sometimes called a head-heart-hands focus because it brings together three crucial emphases: balanced and sound Scriptural knowledge, passionate love for God, and immediate practical application of lessons learned into the real world. Students who tend to digest information best in collaborative group settings often find CMT to be a great place to learn. They typically study at home, then come together regularly in groups with a mentor to discuss the material, ask questions, and encourage each other to grow. Relationships of friendship and trust are built within the group and are considered very important. CMT operates in various study centers across Minnesota. 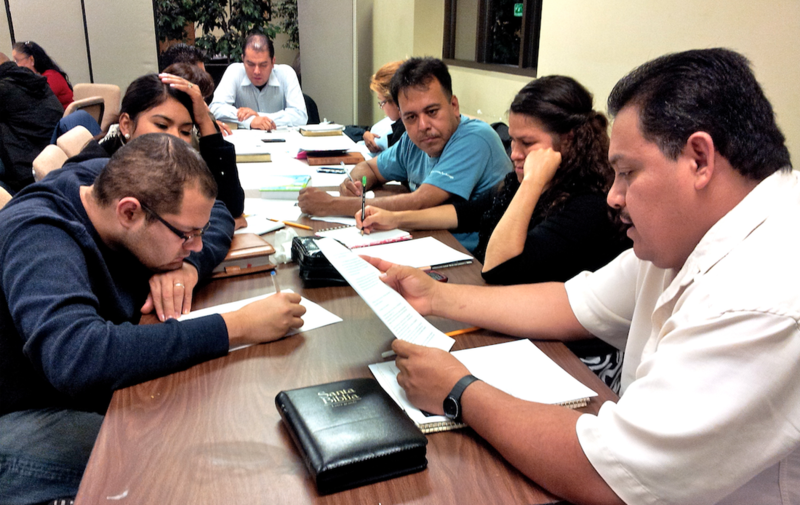 Often, local churches can form their own CMT study group to train their own people. In some cases, where students reside in remote locations that make physical attendance in class impossible, they are encouraged to connect via internet video technology with their group of student colleagues. Many CMT students are already engaged in some sort of Christian work. Often they make great sacrifices to find time for study while leading ministries and balancing secular jobs and family life. CMT uses a variety of materials in its training program, depending on a student’s need, location and situation. We offer two main curricula: SEAN International courses and the Faith & Action Series. If you are interested in finding out what CMT courses are available, and when they might be offered in your area, you may contact us by email at studyCMT@gmail.com. Center for Ministerial Training operates under the spiritual covering of To Every Nation Ministries, which is part of Fellowship of Christian Assemblies (FCA). You can learn more about FCA here. To Every Nation Ministries is dedicated to multi-ethnic evangelistic, training, and church-planting work for the Lord Jesus Christ. You can learn more about To Every Nation Ministries here.